There were two stories over the past week that showed how liberal Jews love prominent Jewish authors who truly hate Jews and Judaism. Philip Roth, the venerable American Jewish author, died last week. There was a torrent of coverage over his death and his importance, as well as how central Jewishness was to his writings. But there was comparatively little coverage to how his writings about Jews - and more importantly, about Judaism - would have been considered undeniably antisemitic if a non-Jew had written them. Roth was indeed controversial in his early writings and people did protest him, but over the years liberal Jews decided that he was more a prophet than a scoundrel. His descriptions of middle class Jews as repressed hypersexual beings seem to describe him more than anyone else, but that portrayal became mainstream because of his writings. Most disgusting was his short story "Conversion of the Jews" where Roth creates a teen character, Izzy, who gets Jews to kneel and accept Jesus as their savior using threats and a logic that any real 13 year old Jewish student could answer easily but that Izzy's rabbi teacher is stymied at. It was not only an attack on Jews, but a puerile attack on Judaism that the liberal Jews of the '60s considered brilliant because of their own complete ignorance of their own faith and theology. I haven't read any of Roth's books since the 1970s but based on book reviews, it doesn't seem like his thinking evolved beyond the hate he had when he was young. He just became more willing to admit that he was always speaking about himself, as his books apparently became more and more self-referential. As far as I can tell, his hate for his coreligionists and his religion had not abated, and indeed he refused to be buried in a Jewish ceremony. In liberal Jewish circles, Roth is not reviled for his antisemitic writings, but he is celebrated for them. He was "brave" in the sense that anything that brings notoriety and fame and fortune can be considered brave - in the way that ignorant Jews who rail against Israel consider themselves brave. The newest story, and even more disturbing, was Reform Judaism's Hebrew Union College inviting author Michael Chabon to speak at their graduation. It was to be expected that he would give an anti-Israel speech. That is what the HUC was looking for. But beyond that, Chabon took aim at Judasim itself, attacking Jews who have the audacity to want to marry other Jews rather than allow themselves to joyfully assimilate and disappear in the larger secular world, leaving only some bagels and Yiddish phrases as tokens of Jewish culture's contributions to the world. He celebrated his atheism and described how he hated Jewish rituals. And he is celebrated at a liberal rabbinical college! Only one student walked out, and that was over his anti-Israel stance, not his anti-Judaism stance. Their has been little backlash against both the celebrations of Roth and of Chabon's offensive and ignorant speech from the target audience. The only reason I can imagine is that the liberal Jewish audience is simply too Jewishly ignorant to even understand what is being said. They think that their afternoon bar/bat mitzvah classes taken decades ago and annual Passover seders with additional symbols for the victims of the month somehow make them experts on a religion and a nation that they know nothing about. There is nothing to be celebrated about hate. 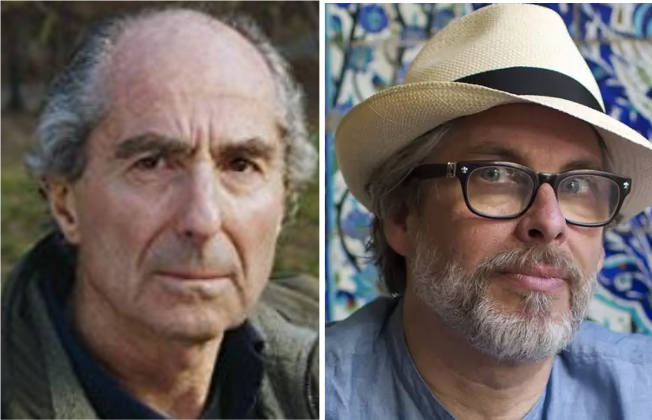 Yet it is directly because of their hate that Roth and Chabon are celebrated. Liberal American Jews don't even know enough to know that they should be offended. That is perhaps the biggest tragedy of all.